As February draws to a close, so does the Haida Gwaii Energy Savings Challenge. After February 28, everyone who participated in the energy savings challenge should complete the survey to show their savings. If you can demonstrate that you reduced your energy in February 2017 compared to February 2018, you will be entered to win some of our amazing & green prizes! Complete the Haida Gwaii Energy Savings survey by March 9! 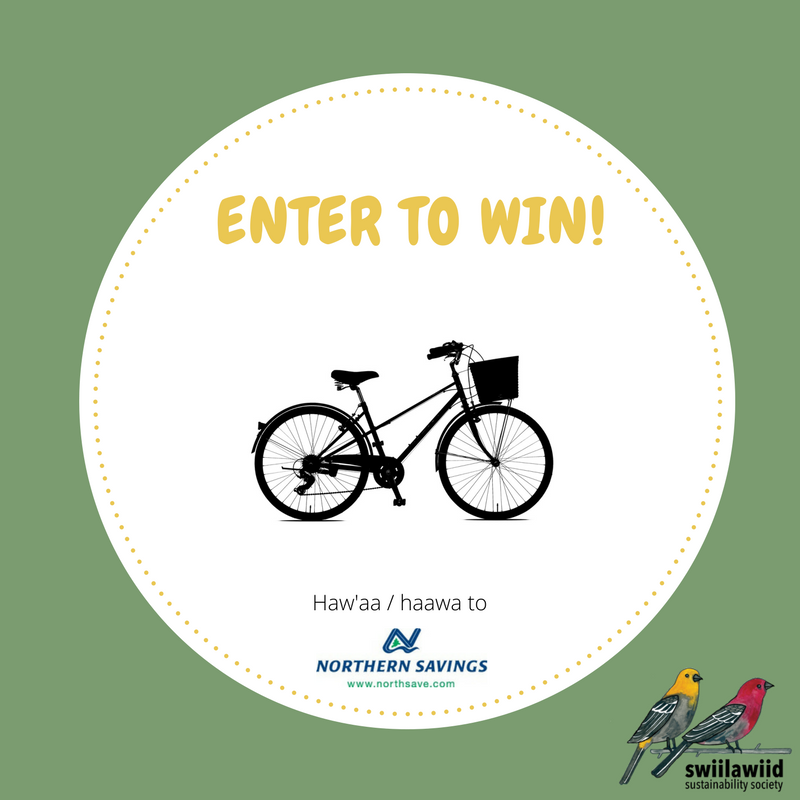 You could be entered to win one of TWO street bikes or an EnergySmart space heater. Haawa / haw'aa / thank-you to everyone who participated! Sign up for updates on our work & renewable energy! We promise to respect your privacy and won’t email more than once a month (unless it’s something really exciting)!